Contact me for New Term dates. Private classes; for one or two people, one hour. $60 per person. Where: Ongoing and advanced classes are taught at the Lesser Hall, Cottesloe Civic Centre, or in the Civic Center Gardens, depending on the weather. Contact me for dates and prices. A portion of all fees are donated, either to Roy Jenzen for the preservation of the white tiger, or to Bawa; Bali dogs. We are completely addicted to the qigong classes held by Toni Weston. They are surprisingly easy to follow under her guidance, but equally challenging in a positive way. The classes result to making us feel grounded, calm centred joyous and physically and mentally strong, which sets us up feeling wonderful for the remainder of the day. Toni is a fantastic teacher. She explains everything with ease, is patient, caring and funny at the same time as being truly dedicated to the importance of her craft. She takes her work and teachings seriously and her depth of knowledge shows through her explanations of each movement. We love these classes. We love the way Toni guides and facilitates the class with fluidity and professionalism. It doesn’t matter what level you are at or how well you grasp the movements, as she gives each person and the class undivided attention. Thank you Toni for all that you share. Toni is a really good teacher. She has high energy herself, is very gentle with the class, not pushing anyone to do whatever they're not comfortable with. Also one other great quality she has is modesty. She seems to be without ego, which is a pleasant surprise in a teacher! I have been attending Toni’s Qi gong classes since they began in 2017. Toni brings such passion and authenticity to her classes and has a beautiful way of mixing her deep knowledge and understanding of this incredible practice with such joy and lightness. As a teacher, Toni has really grown and developed a beautiful style as the months pass. 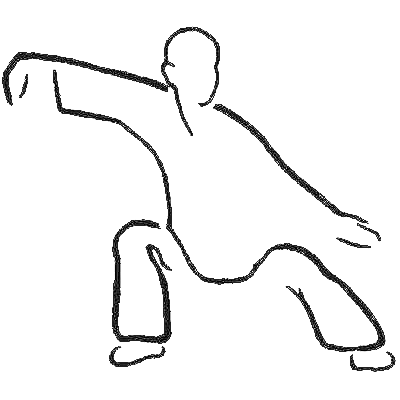 I feel a real deepening of the practice and a far greater personal understanding of what the essence of Qi gong means. The classes are varied and so informative and you leave feeling like you want so much more. I have now begun to integrate some basic moves and standing poses into my daily routine with my meditation and I feel the difference it makes to my day. I cannot recommend Toni highly enough as a truly authentic, passionate teacher. The beauty of Qi gong is that it is ageless and timeless and Toni brings such grace and honesty to her classes. FIND YOUR BALANCE AND NOURISH YOUR SPIRIT.